The Kind Relief Inc. medical marijuana dispensary and cultivation is a company dedicated to providing qualifying Arizona Medical Marijuana Program patients, medicine while upholding the highest standards of professionalism and integrity. We have gone to the farthest lengths possible to ensure that every patient that chooses The Kind Relief Inc. as its source for medical marijuana is cared for with respect and compassion for their individual needs. 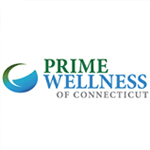 Prime Wellness of Connecticut is a full-service Medical Cannabis Dispensary conveniently located at 75 John Fitch Blvd., South Windsor, CT 06074. If you have any questions please contact us at 1-(800) 263-8557 or by email info@primewellnessofct.com. For additional information please visit www.primewellnessofct.com and sign-up for our email newsletter. Green Society is a mail order marijuana dispensary based in Vancouver, BC.